In 1864 de Cuers travelled to Jerusalem to establish a fourth community of the Congregation. The venture required approval by the Vatican and was eventually disallowed because the Franciscans had been given prior rights in the Holy City. While waiting in Rome between January and March 1865 for an answer on the Jerusalem project, Eymard made a nine-week retreat in which he began to experience the awakening of giving himself totally to God. This ‘gift of self’—the ‘vow of his personality’ to God—came to dominate Eymard’s later teaching on the eucharistic mystery and is now the focus of modern studies of Eymard’s spirituality. The ‘lesson of Eymard’s life’, Hervé Thibault concludes, ‘is that the gift of self, practised in depth, brings one to the threshold of mystical life.’ To understand this gift of self, Thibault suggests, it is necessary to appreciate that Eymard had always battled to suppress his personal vanity. The gift of self, as Eymard became aware of it, was an act of self-surrender; a dying based on the model of Christ. Through a total sacrifice of ‘self’—to loving God for God alone and not for one’s own self—the giver could be transformed to become Christ-like. The gift of self was thus an act of consecration which led to a spiritual communion: to Christ living through the giver in eucharistic perfection. This concept may not seem so strange today, but it was certainly a radical idea in the mid-nineteenth century. Eymard’s gift of self spirituality was controversial for many years. When the Congregation’s priest-archivist Georges Troussier produced a two-volume biography of the Founder in 1928, two chapters dealing with Eymard’s mystical life were suppressed by the then superior-general Eugene Couet. These have now been restored. Today, the gift of self is readily acknowledged in the Blessed Sacrament Congregation as the focal point of a eucharistic vocation. The active and contemplative components of eucharistic life are no longer seen as mutually exclusive ends. Although Eymard did not begin to recognise the gift of self until late in life, by 1865 he already had a growing sense of his mission being accomplished. The Congregation was established and the Constitutions he had been drafting for many years were presented at the first general chapter of members in July 1865. Eymard was elected superior-general for life at that meeting, despite his private wish to step back and let others bear the burden of leadership. The election of Eymard in preference to de Cuers proved fortuitous when de Cuers later underwent a spiritual crisis, culminating in June 1867 when he asked Eymard to relieve him of his vows. De Cuers wanted to establish a more austere model of eucharistic life in a ‘house of solitude and reparation’. He still envisaged a community restricted to priests, whose lives would be exclusively devoted to adoration and contemplation. Not wishing to lose de Cuers, Eymard allowed him to begin his experimental community as a ‘personal’ project within the Congregation. De Cuers moved to Roquefavour, where he lived a monastic life in poverty with a few sympathizers until their commitment wavered. Although Eymard was prepared to let God reveal whether de Cuers’ project deserved to bear fruit, he probably always knew de Cuers would return, as he had done before. 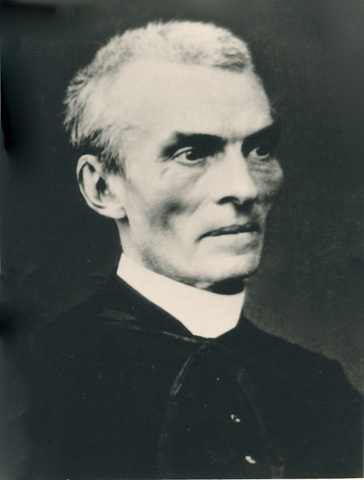 Eymard understood de Cuers’ desire for a more contemplative life, but as late as December 1867 he was still reminding the Congregation to maintain the apostolic character that was outlined in the original pontifical decree, in particular by working for the first communion of poor children and for the sanctification of priests. The ministry to priests has not been well-documented. Eymard was often concerned with the private needs of secular clergy that were not being adequately met elsewhere. These included priests who were struggling with loneliness or despair, those who had ‘fallen’, and others grown weary by age, or sickness, or ‘spiritual deprivation’. Eymard’s communities welcomed them with compassion and understanding, offering material assistance, prayer, and the hope of spiritual renewal through the eucharist. Unfortunately, there was little consolation for Eymard himself. The leadership he accepted as a ‘cross of straw’ became a ‘cross of lead’ by 1866. His writings reveal the deep pain of his aloneness and longing for release. At that time, what Eymard had first thought was ‘rheumatic gout’ turned out to be a severe stroke. He set out for La Mure to recuperate with his family, but was partially paralysed and losing speech by the time he arrived on 21 July 1868. Drifting in and out of consciousness during his final days, he was able to farewell his sister Marianne and receive the eucharist and last rites of the Catholic Church. On 1 August 1868, Peter Julian Eymard died peacefully at the age of 57 in the town of his birth and boyhood. Some years later, in 1877, his remains in the local cemetery at La Mure were removed for interment in a new Blessed Sacrament Chapel (Chapelle du Corpus-Christi) in Paris. The exhumation ignored the protests of the people of La Mure and did not occur until after the death of his sister in 1876.